As the year comes to an end, we're reflecting on all the engagement rings you—our customers have loved and bought in 2017. 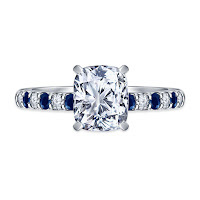 Classics like the six-prong engagement rings with a round center diamond continue to be popular and this year was no exception. We have also received interest in creating unusual settings such as east west engagement rings. 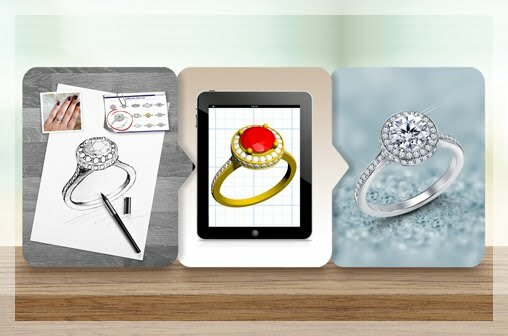 (Check here to submit a customization request) Looking at this data, let's roll out the predictions for engagement ring trends for 2018! Rose gold reigned supreme in 2017 (and 2016) and this lovely metal will continue its rise to popularity. 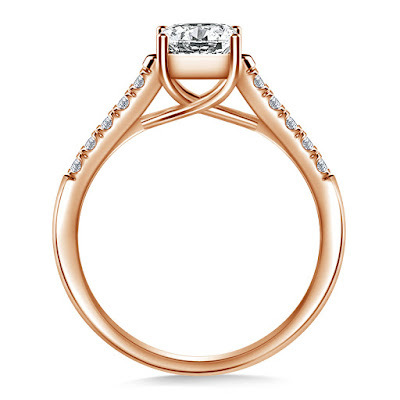 Rose gold engagement rings and wedding bands are so sublime and even the smallest detailing gives them vintage appeal. 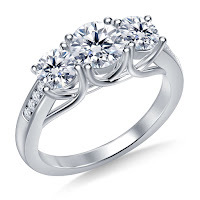 We love the sweeping curves of the trellis gallery of this engagement ring. In 2017, we saw a demand for oval, cushion and pear center diamonds and we think these lovely shapes will continue to be popular. 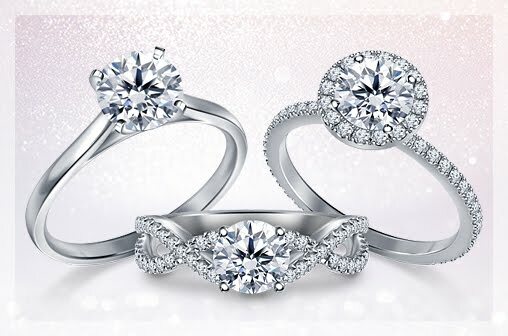 All three of these shapes, have plenty of sparkle along with their non-traditional shape. 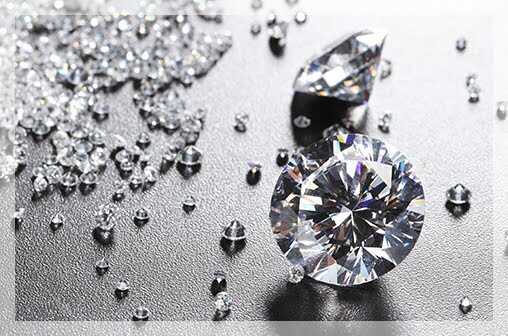 Oval, pear and cushion diamonds are versatile enough to complement the simple solitaire setting or an ornate vintage setting. 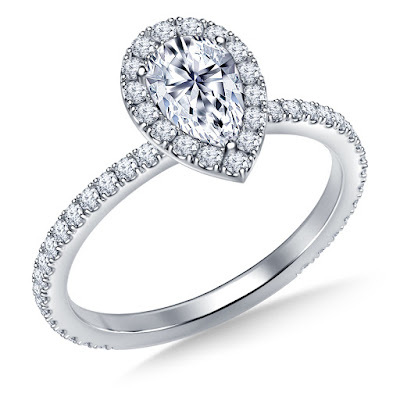 We are partial to lovely pear engagement rings like this one. Gemstones act like pops of color in diamond engagement rings and we are loving this look. We are partial to sapphires because of their rich hue but also, because of their durability. Measuring 9 on the Mohs Scale of Hardness, sapphires are perfect for engagement rings as they are used every day. 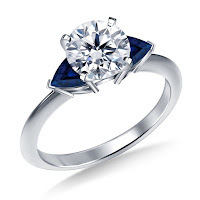 This engagement ring has trillion cut sapphires as side diamonds while this one has sapphire accent stones. 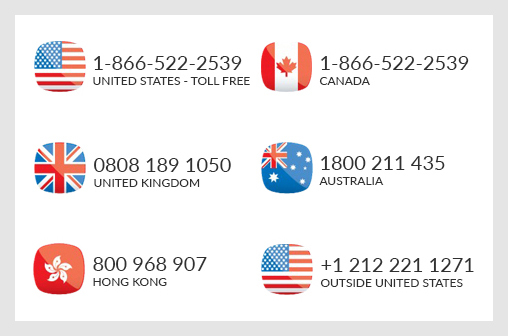 With so many different types of eternity rings and half eternity rings, a lot of women are choosing to rock eternity rings everyday instead of engagement rings. 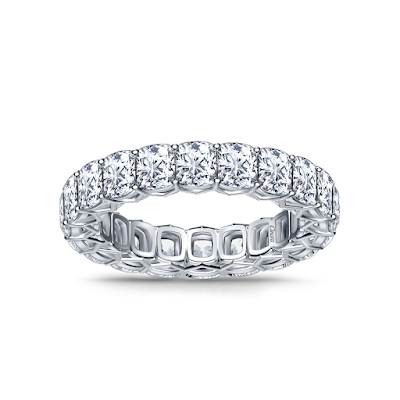 We adore this cushion diamond eternity ring! 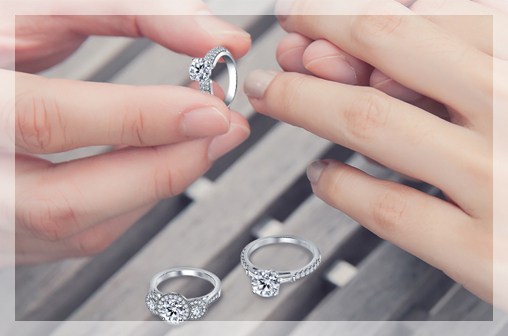 It has plenty of sparkle so you won't miss an engagement ring. Prince Harry and Meghan Markle recently announced their engagement. The royal engagement ring was a classic three stone engagement ring. 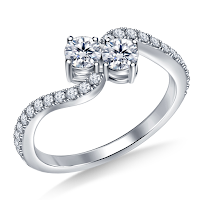 We believe this is going to spark an interest in old classics like the three stone engagement ring and tu et moil rings. 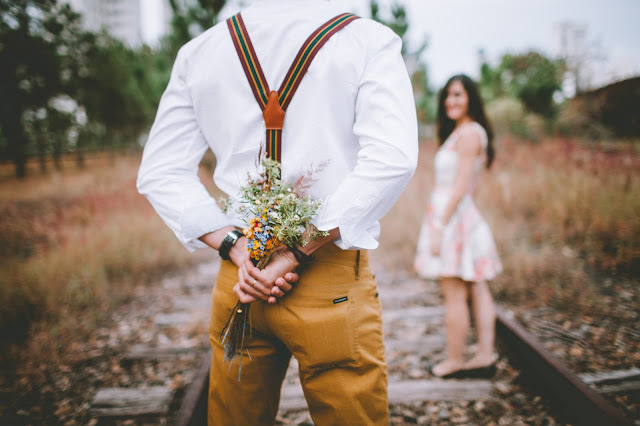 If you're looking for engagement rings, be sure to check these trends here.